Soil organic carbon (SOC) is an important parameter to study the carbon cycle as soil carbon stock inventory as well as to serve as prime indicator in assessing soil health and soil quality. The present study was attempted to investigate C-equivalent correction factor for SOC by Walkley–Black (wet oxidation) and loss on ignition (LOI) methods in relation to TOC analyzer (dry combustion) method. TOC analyzer method supposed to be the best method of total soil organic carbon estimation. Soil sample from 77 sites representing dominant land use/land cover types of crop land, forest and scrub cover were collected in Himalayan region of Uttarakhand state, India. Surface (0–15 cm) and sub-surface (15–30 cm) soil samples were used for estimation of SOC by these three methods. 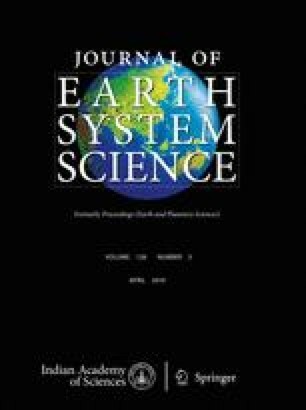 C-equivalent correction factor ranged from 1.10 to 1.17 for SOC determination by Walkley and Black method to TOC analyzer method, whereas it varied from 0.257 to 0.417 for soil organic matter (SOM) by LOI method to TOC analyzer for soils under various land use/land cover types in the Himalayan region. The recovery of SOC by Walkley–Black method varied from 86.84 to 91.04% in the soils of various land use/land cover in the Himalayan landscape. Thus, there is need to develop specific correction factor for soils under various land use/land cover types for improved estimation of soil carbon stock. The regression models developed in the study can be directly used to obtain TOC analyzer equivalent total carbon contents in the soils (surface and sub-surface) for computation of soil carbon stock in Himalayan region. Authors are sincerely grateful for financial support provided under the ISRO–Geosphere Biosphere Program (IGBP) of the Department of Space. Authors sincerely thank Director, Indian Institute of Remote Sensing (IIRS) and Director, National Remote Sensing Centre (NRSC), Hyderabad, for their kind support and constant encouragement.